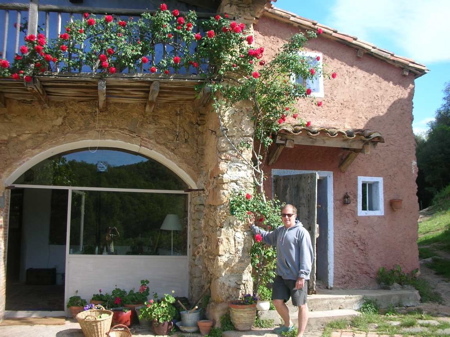 A few years ago I convinced my husband Ed that spending a week as guests in a country farmhouse in Spain would be the perfect vacation. We’d be surrounded by history, eat some real home cooking, and get to know the people – and more important now than it was then: it would be cheap. Naturally, I imagined rustic beauty, too. 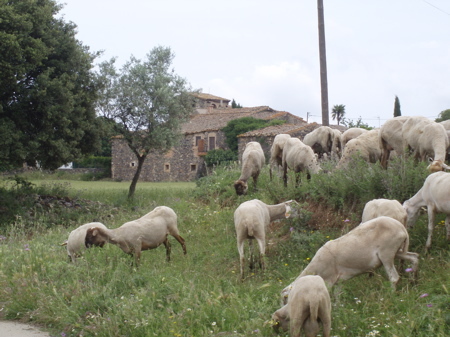 Colleagues in Spain who know I can’t stand those overrated Paradores, with their fusty fake antiques and stodgy service, told me the country’s agroturismo offerings were finally catching up with the memoir-inducing rural lodgings of Provence and Tuscany. Relying on a list from the Catalan tourist office, we headed to the village of Urtx in the Pyrenees. My heart sank a little when I saw our cell-like room, two sway-backed twin beds practically its only furnishings. And when Ed threw open the window, the view literally took our breath away—we were just above a muddy barnyard, piled high with steaming, um, authenticity. Urtx, indeed! Masies in Catalonia: Mas Garganta, north and inland of Barcelona, is full of charming little nooks and details. I love it for its simplicity, tranquility, and dining terrace. In the Priorat, Mas Ardèvol’s simple but pretty rooms and good food are just what you want to come home to after exploring that rugged wine country. Alquerías in Andalusia: Jonathan Lord at All Ways Spain in Granada has a real talent for combining city culture with country escapes. Alquería La Morayma, up in the Alpujarras, is one of his top picks – he especially recommends going in September to participate in the grape harvest. Or after he has walked you all over Granada, have him set you up at a favorite closer by: Alquería Los Lentos – it’s got a Moorish hammam, or traditional steam-bath. Casonas in Green Spain: Barbra Fogarty, an outdoorsy type who likes to eat, is my colleague at S-Capes Countryside Travels in Asturias. She knows many casonas and pazos along the fabled Camino de Santiago. La Casona de Con is one of her favorites near Cabrales (oh, those delicious mountain cheeses) and, not far from Santiago, Cantiga del Agüeira is another (perfectly positioned for wine tasting in the Ribera Sacra). Once you’ve picked out a few promising inns, clarify the basics: Is breakfast included? What other meals are available? Some casas rurales are set up primarily for longer stays where “self-catering” is the norm (that means shopping in local markets and cooking in your own cottage kitchen). Review the sleeping set-up: bigger beds for couples, quaintly called camas de matrimonio, can be harder to come by. Take it from me, you also want to ask questions that touch on how the place will look and feel: Is it a working farm? Do the owners live there? Will you be the only guests or will you be sharing the property with others? Is the house in a village or an isolated location? Does the village have shops, restaurants or other attractions? Is the property right on a highway? Does the picture on the website show the part of the house you’ll be renting? Some places can be too rustic. More often, I’ve found charm forsaken in an overzealous under-funded effort to provide modern comforts. Pictures on the web can help here, but they don’t always capture the real feeling of a place. If you’re working with a trusted local travel advisor, get his or her to describe the proprietors’ taste. Maybe the most important question is one you should ask yourself. It goes without saying that you’re looking for charm and you want it to be inexpensive. But are you open to real simplicity? Part of why I like Mas Garganta so much, for example, is that it is not over-restored. Yet I think the proprietress has a great eye. For me the calm simplicity she cultivates trumps such hardships as meagerly appointed bathrooms. Most of the clients I’ve sent to Mas Garganta have adored it, but one couple never even noticed the still-lifes of garden produce in the pantry or the landscapes from the terrace. They fled after glimpsing the gaps in the 300-year old floorboards and feeling the crispness of line-dried cotton sheets. 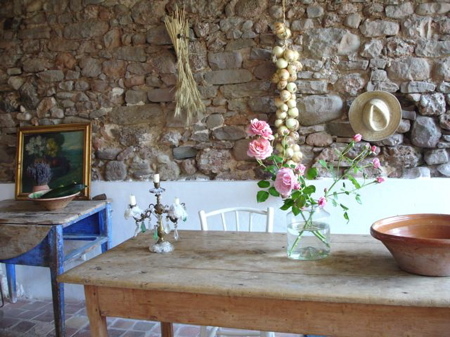 Spain’s casas rurales offer authenticity, with prices well below standard hotel rates. Some are beautiful, too, but whether they’re idyllic or not is at least partly up to you. You are such a good observer, researcher, and writer, Teresa. And you can really taste the difference between sheep and goat. You ought to write a book about Spain.